Add a subtle ambient LED Strip Light to your monitor or TV screen. It can help reduce eye fatigue and increasing perceived image clarity. In a completely dark room, the LED backlight can help omit a smoother contrast to the surrounding area so your eyes' focal point is not directly absorbing the bright lights of a TV. This is the same effect as if someone points a flashlight directly into your eyes. Supplement passive light sources, such as this LED backlight, can help reduce this effect and not have a high straining effect on your vision. Reduce eye strain, customize your screens, inject ambient mood lighting and create an atmosphere to any room in your home. 1. 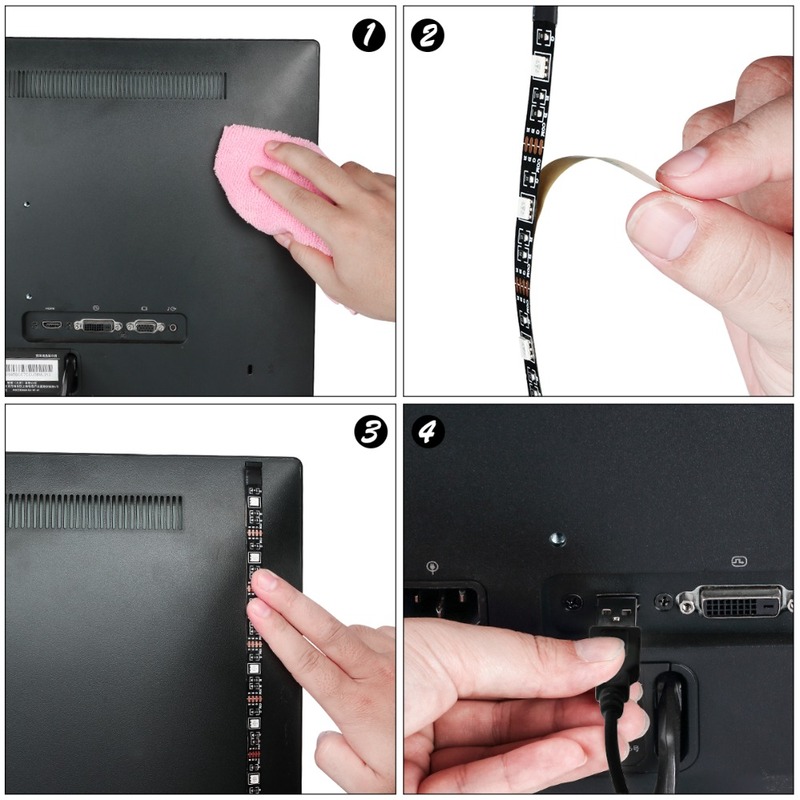 Wipe and clean any dust from the TV surface. 2. Peel off the adhesive backing on the led light strip. 16 Color selection -- RGB Color LED lights: white, red, green, blue, yellow, pink, purple, and more! LEDs can help add ambiance and wow factor to any living space. Alleviates eye-strain -- The LED glow behind the TV can help reduce eyestrain caused by differences in picture brightness from scene to scene in movies, shows, and games. Optimal viewing experience -- The color and highlighting brightness of the LEDs are carefully calibrated, making darks darker and colors more vibrant. Easy installation -- Fits any TV size Up to 60’’. 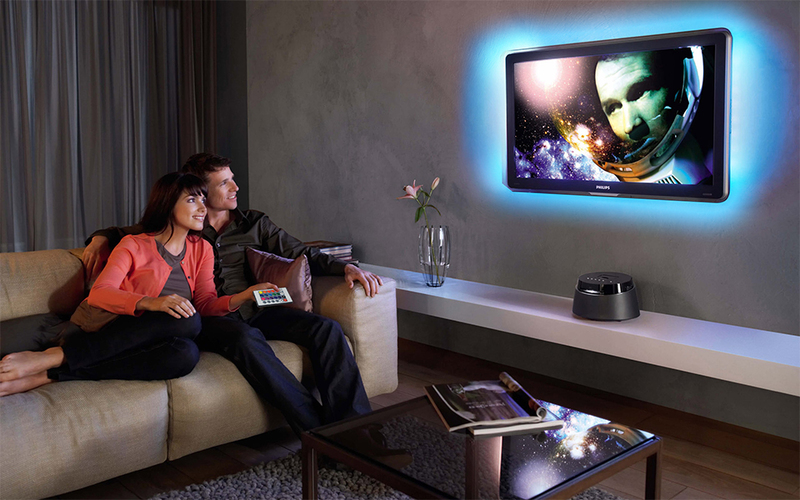 LED strip light can be cut with scissors on the cut marks (white lines) to fit the desired size of your TV.